It’s been a year since the San Antonio Missions’ designation as a World Heritage site by the United Nations Educational, Scientific, and Cultural Organization, or UNESCO. 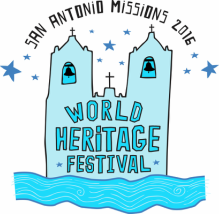 The San Antonio World Heritage Festival is taking place this week with events and activities for all ages. “We are hosting this event to not only celebrate the designation, but also promote awareness to residents and then to raise funds for projects and nonprofits that protect and preserve and maintain and connect,” said Colleen Swain, Director of San Antonio’s World Heritage Office. The main celebration begins Friday night with Restored by Light to Mission San Jose. “That’s where we project onto the mission what it might have looked like when it was painted,” said Swain. On Saturday there’s a bike ride, 5K run/walk historic tour, family activities at all missions, including the Alamo, and a pachanga in the evening. There are fees for the bike ride and 5K. For more details, and to register for the bike ride or 5K, go to the World Heritage Festival’s website. A year to the day after getting World Heritage status, the Missions National Park faces an uncomfortable deadline. And that deadline involves a lot of money. Susan Chandoah runs Los Compadres, the Missions National Park friends group. "Our Missions grant is for $236,000." That $236,000 is a slice of $2 million that are being given to several National Parks in a peculiar contest of sorts. That contest is one that you can actually participate in. UPDATE: This event has been postponed and will be rescheduled for spring, 2016. Now that the San Antonio Missions have been named a UNESCO World Heritage Site, the world knows what we know—these historic spaces are a treasure. Father David Garcia, the Archdiocesan Director of the Old Spanish Missions, has been a key player in the site’s restoration, helping to raise millions of dollars for the project.